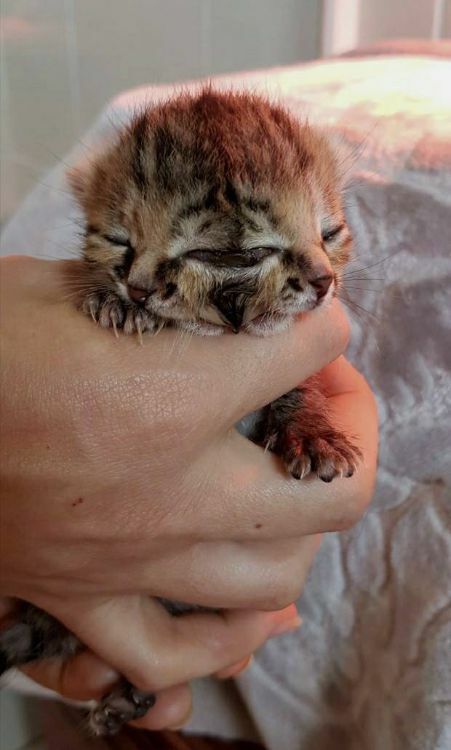 On December 12th, a kitten was born as part of a litter of three in Eastern Cape, South Africa. 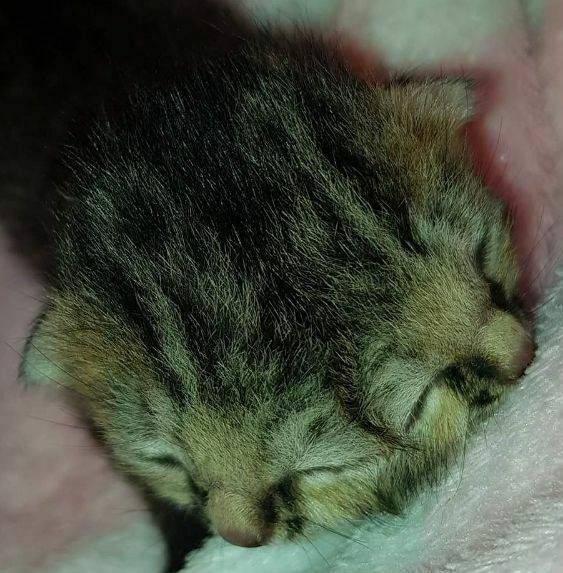 Unlike her siblings, the kitten stood out because she had two mouths, two noses, and three eyes. 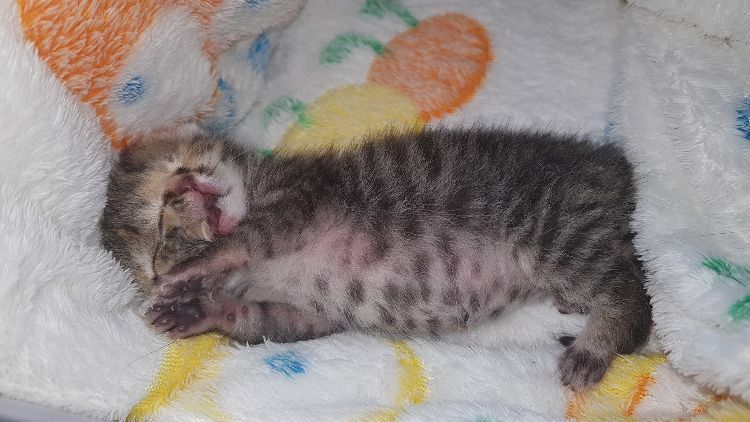 The kitten's special needs situation made it impossible for her to nurse, so a loving volunteer stepped in to give this kitten a fighting chance at life. Bettie Bee's condition is known as diprosopus or craniofacial duplication. 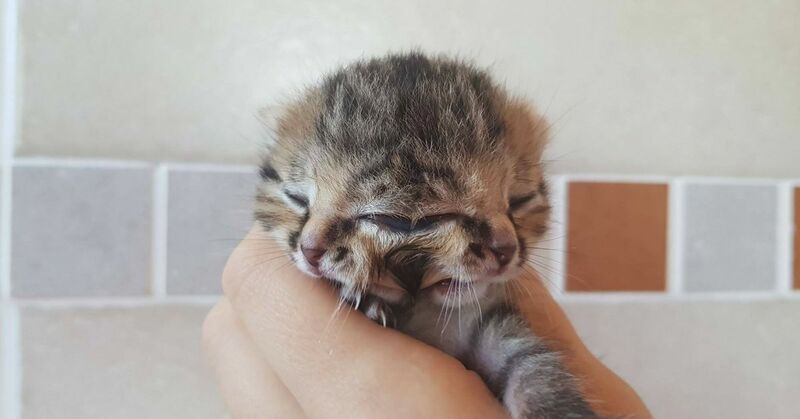 Cats born with this condition are called "Janus cats." 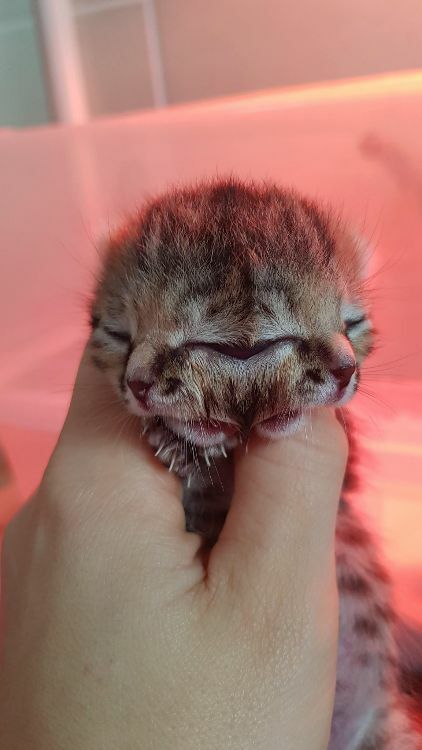 Little Bettie Bee was tube-fed as the kitten's two mouths were both functional and she had no problems swallowing milk and water. 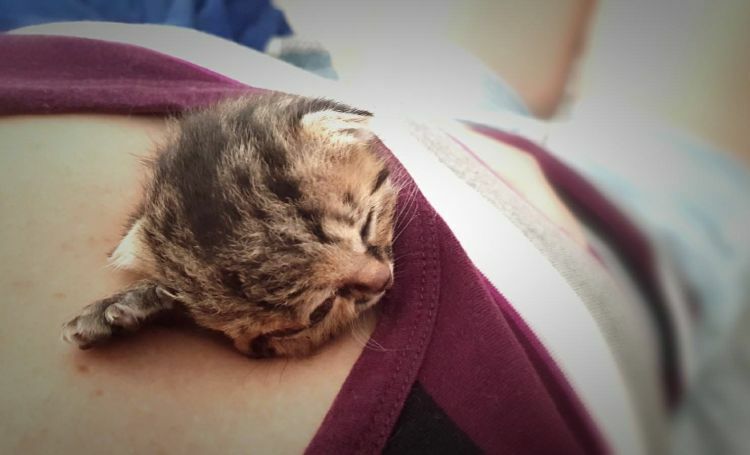 Her foster mom was up almost constantly to make sure that the kitten was eating and comfortable. 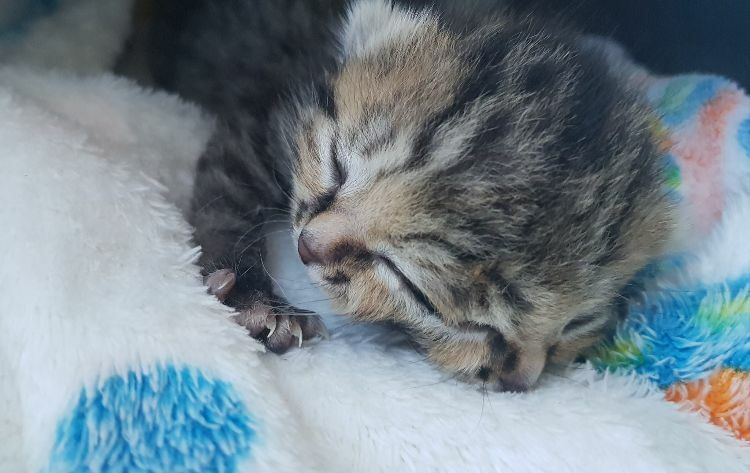 A veterinarian examined Bettie Bee and recommended that the kitten be euthanized, but the foster mom refused. She wanted to give Bettie Bee a chance to survive. Other "Janus cats" had lived full lives, such as Frankenlouie who lived to be fifteen-years-old, and perhaps Bettie Bee would continue her miraculous journey in this world. By day six of her young life, Bettie Bee was shown signs of thriving and growing. She opened her eyes and began to crawl. Her foster mom noted that the "Middle two eyes are merged into one big eye." 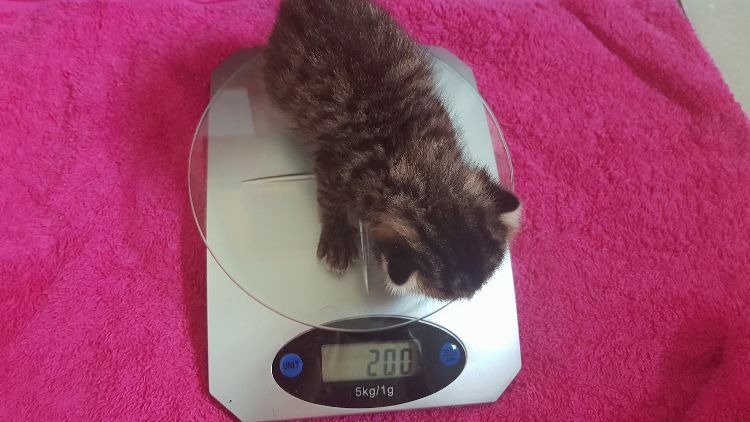 Her tenth day of life had her weighing in at 200 grams, and continuing to grow. She was doing great until 2 days ago, she started with pneumonia, we suspect somehow some milk came up and went into her lungs, started with treatment immediately and thought we were winning until she vomited (probably nauseous from the antibiotics or mocus) and got more milk in her lungs, she was struggling and I said to myself from the beginning I would not let her suffer. For 16 days I gave my all and so did she, I would do it all over again, she deserved to have a chance at life but sadly it was not meant to be. Thank you so much for everyone's love for her, kind words, prayers and encouragement." Although her life was too short, Bettie Bee experienced the best of humanity in a foster mom who showed her love and dedication. The foster mom intends to keep the Facebook page going to call attention to other animals with special needs concerns and issues. Share this remarkable story with your friends and family on Facebook.